At the request of someone, I took this challenge because I thought it actually sounded like fun — and would be a challenge. And indeed it was! 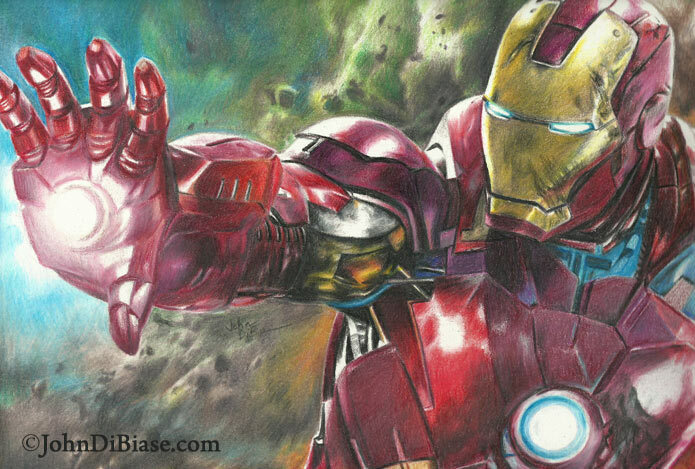 I laid this drawing of Iron Man out in light pencil first and then went through with various Prismacolor Premiere colored pencils to create the effect. I also tried something totally new I found at AC Moore — a Prismacolor “blending pencil.” It’s basically a clear colored pencil you use for blending purposes. Loved it!